Fancy restaurants, cool beach clubs, and chic lifestyle boutiques – that makes up Seminyak, perhaps one of the most popular destinations in Bali. But if you like partying or surfing, backpackers’ heaven in Kuta is the place for you. For those who are on a journey to seek solace and to hideaway in peace and calmness, the luxury 5-star beach resorts in Nusa Dua will be your cup of tea. Couples on honeymoon should check out romantic villas in Jimbaran – a sleepy seaside village known for the freshest seafood and gorgeous sunsets. Ubud, the heart and soul of the real Bali, remains a popular spot for visitors who are seeking spiritual enlightenment and cultural realisations. Here is our Bali’s destination travel guide where we cover the five different areas on the island of Gods. With many romantic villas and resorts in the area, Jimbaran is traditionally a low key honeymoon spot. The luxurious and spacious oceanfront villas at Four Seasons Resort in Jimbaran Bay is the destination if you are looking for a little privacy, and to escape from the world. Another villa that we like is Kayumanis Private Villa & Spa. The property only has 18 private villas, which explains its meticulous and personalised hospitality and service. 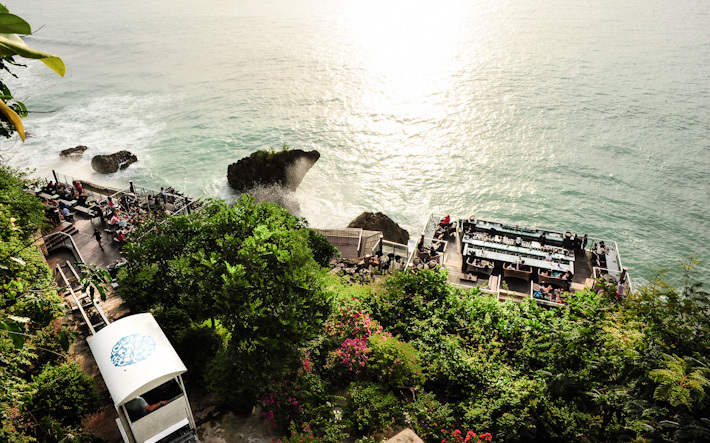 Jimbaran is also one of the best vantage points to watch sunset in Bali. Rock Bar at AYANA Resort is popular as a destination for sunset cocktails. 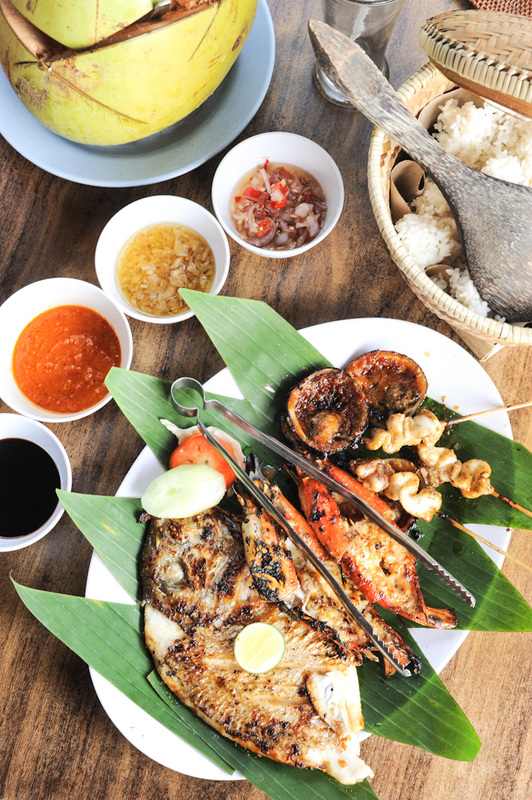 This sleepy seaside village is synonymous with the most delicious and freshest seafood in Bali. For the best seafood in Jimbaran Bay, go to Menega Cafe. Indonesians and tourists go there for a seafood feast while enjoying the marvellous sunset. 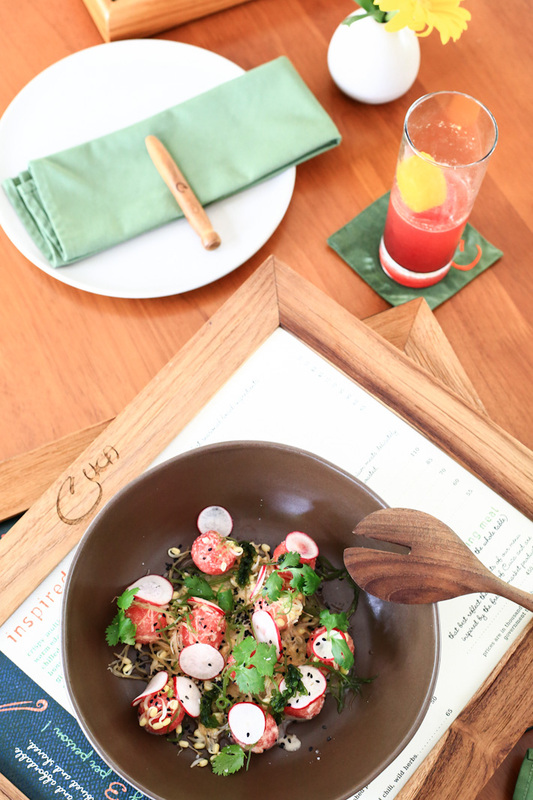 Two of our favourite restaurants in Jimbaran are Cuca Flavours – for its delicious and playful cocktails, and bold and refreshing tapas using locally-sourced ingredients – and Balique, a beautiful vintage restaurant which serves a good balance of Indonesian food and western food. Developed in the 1970s to 1980s as Bali’s prime tourism spot, Kuta has always been known for a heaven for backpackers and budget travellers. It is the most heavily developed area in Bali, with plenty of hostels, motels, bars, clubs, eateries and cheap massage parlours. 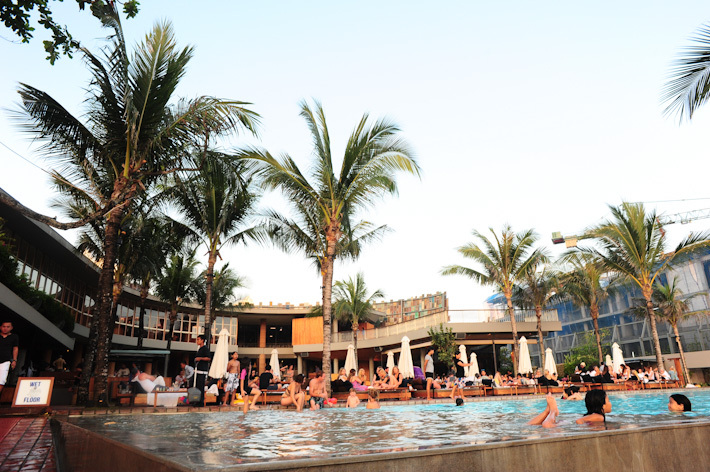 As compared to Seminyak which has many upscale clubs and bars, Kuta is the centre of lower-end partying on the island. In recent years, big hotel brands such as Sheraton Bali Kuta Resort, Pullman Hotel, and The Stones Collection have opened in the area, giving Kuta a face lift. Promoted as the poster boy for Bali’s luxury 5-star resorts and beautiful beaches, Nusa Dua is where tourists flock to for a relaxing retreat. Besides being home to luxury hotels like The Mulia, St Regis, Westin, Conrad and Grand Hyatt, Nusa Dua also houses the main convention centre on the island. 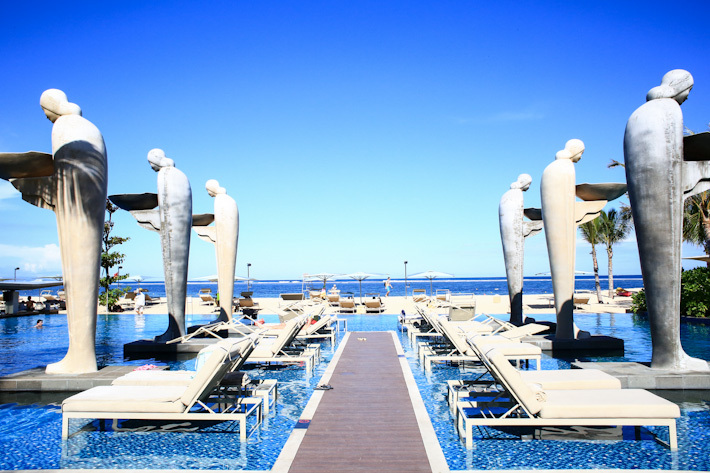 Nusa Dua boasts the most beautiful beaches in Bali. Bring on your most fashionable swimwear, frolic by the pool and get ready for a tan, we’d say! Tanjong Benoa, a popular water-sports destination in Bali, is in the same area. Go there for a day of fun and enjoy snorkelling, para-sailing, and other water sports. Seminyak is easily our favourite area in Bali. If this is your first time to Bali, and you are looking for a fun and vibrant place to chill out with your loved ones, Seminyak is the place to head to. Jalan Petitenget is the culinary epicentre of Bali, and food lovers will be thrilled with the numerous options in the area. Jalan Laksmana, the main street in Seminyak, is littered with boutiques, restaurants, and random shops. There is also no lack of trendy drinking spots. 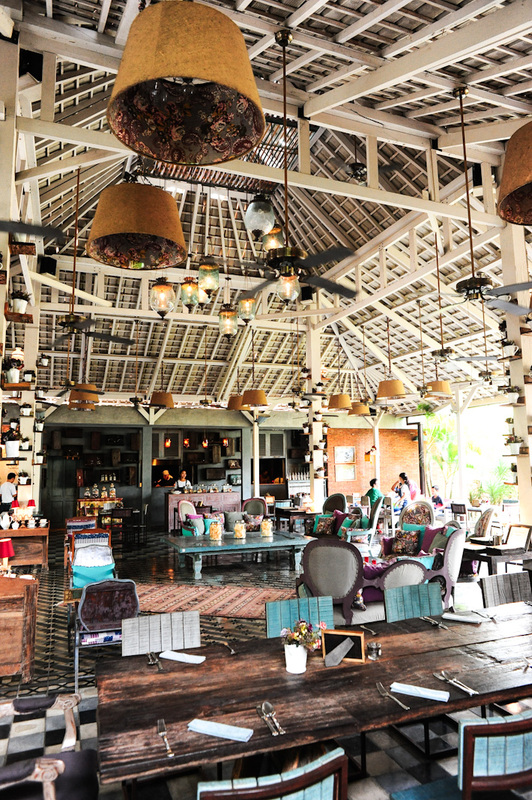 From Ku De Ta, to Woo Bar and Potato Head, some of the best beach clubs in Bali can be found in Seminyak. Our favourite restaurants in Seminyak include Biku, Mama San, Merah Putih, Metis, Petitenget, Sardine, Ultimo, Sea Circus and Sarong. 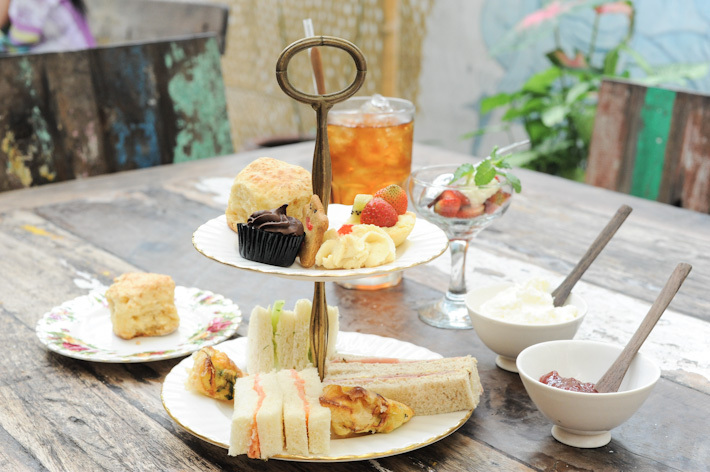 For more recommendations, read our guide on where to eat in Bali. If budget is not an issue, stay at the swanky W Retreat & Spa. Another good option is B Villa + Spa. Its 3-room villa is perfect for families and those who are travelling in a big group. The arts & cultural centre of Bali, Ubud has since been put on the world map by Julia Robert’s movie ‘Eat, Pray, Love’. Paddy rice fields, white water rafting, Monkey Forest, and lots of arts & crafts shops are the main attractions in the area. 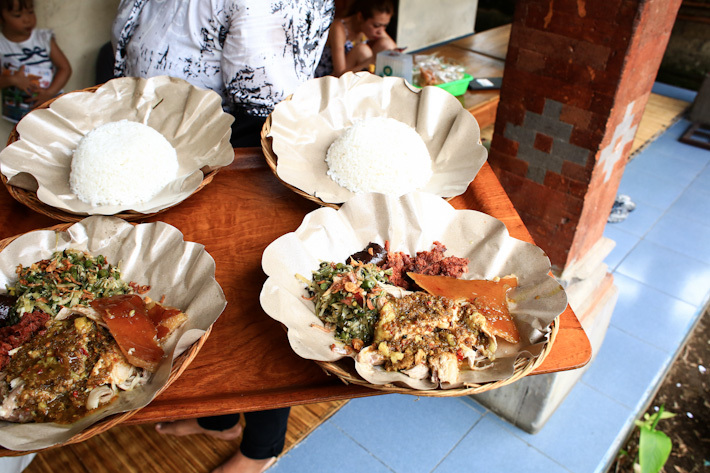 There are two things that you must try in Ubud – the legendary ‘dirty duck’ and Balinese’s national dish, Babi Guling (Balinese suckling pig). Warung Babi Guling Ibu Oka is a landmark in Bali, and it is known to serve one of the best, if not the best Babi Guling. 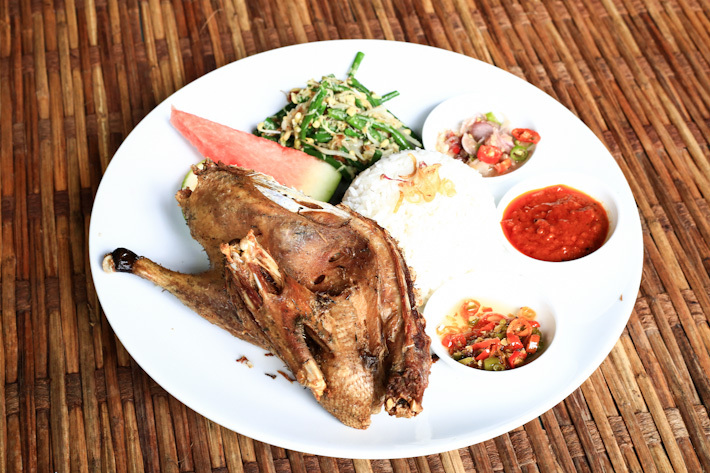 For the traditional Balinese deep-fried duck, Bebek Bengil – also known as the Dirty Duck Diner – rose to fame with its crispy dirty duck, and it is now a dining destination in Ubud. Another dirty duck place that you must try is Bebek Tepi Sawah Restaurant. 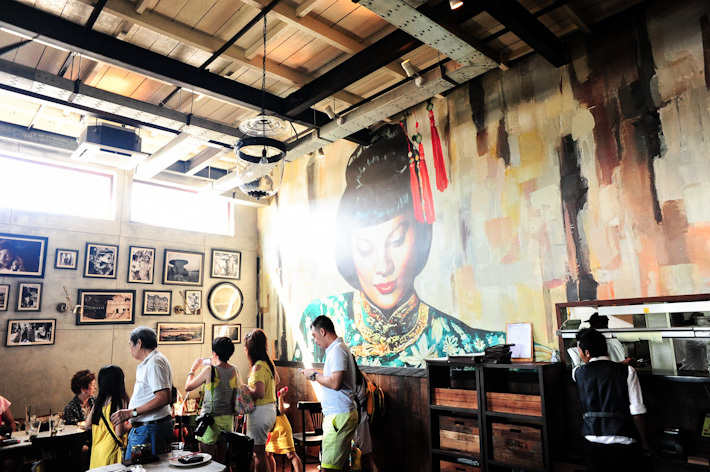 It specialises in duck dishes, and it has a huge outdoor dining area with many pavilions perched atop paddy fields. 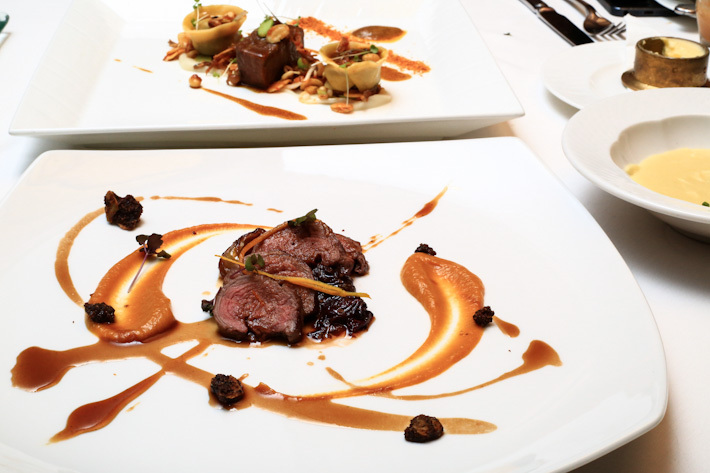 Other highlights include Sari Organik, a gorgeous eatery in the middle of paddy fields; Naughty Nuri’s, the best ribs in Bali; as well as Mozaic Restaurant – Bali’s fine dining temple. 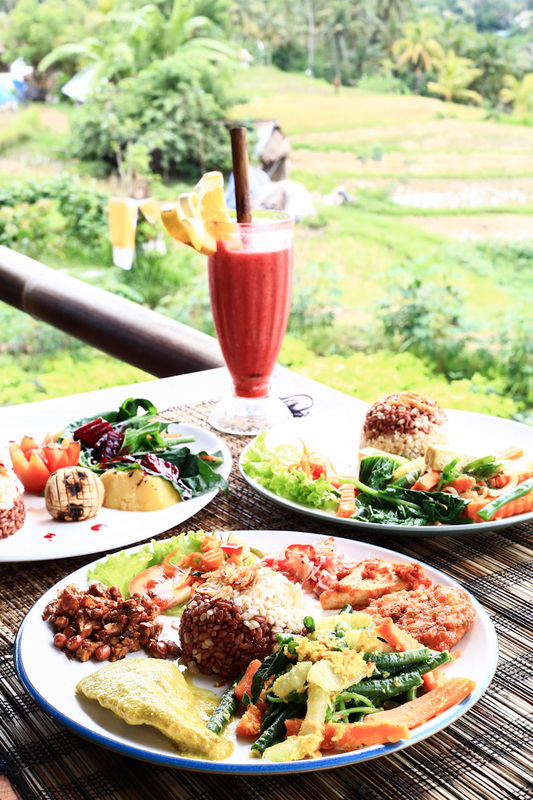 If you need more tips, we have a guide to Ubud’s Best Places to Eat. For more recommendations, read our curated Bali’s food & travel guides. Ahhh, brings back good memories! Loved Ubud, Nusa Dua and Jimbaran. We took this awesome cooking class in Jimbaran which inspired greatly! Yes seminyak is best for shopping, but also don’t forget to enjoy & watch sunset at double six beach there. The beach is flat & wide, it is gorgeous for kids to play! Pretty photos you had there. May I know what camera did you use?